The HAAS Grey/Coloured Pack is specifically designed for grey or coloured horses coats. The four brush set combines to produce a brillent glossy finish. HAAS Schimmel brush - A special mixture of strong coconut fibres is great for stubborn stain removal on grey or white horses. HAAS Lippizaner brush - A wooden backed mixed horse hair brush with shot bristles for gentle cleaning and longer bristles dust removal. HAAS Coat Gloss brush (Fellglanzburste) - A light, soft, thickly woven horse hair for a brush which is excellent for sensitive horses and sensitive areas. 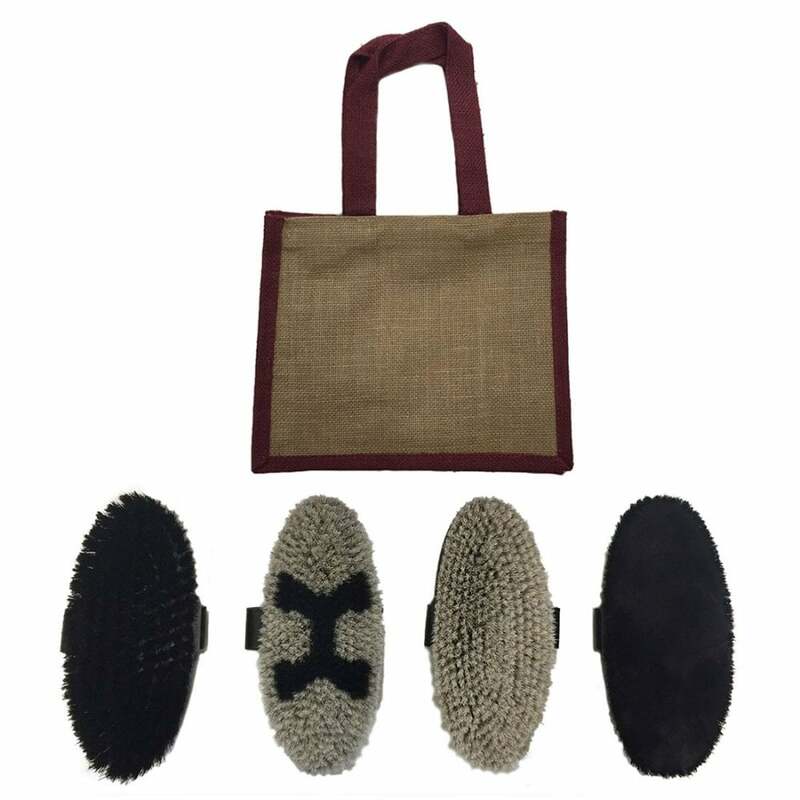 HAAS Diva Exklusiv brush - A lambswool centre with a soft horse bristle border for an brillent finishing brush, that gives a lovely gloss shine. The HAAS Grey/Coloured Pack of brushes is a fantastic addition to your grooming kit.